Passive solar heating is simply using the sun to directly heat a home. We designed this home to have maximum window area facing south. During the winter, the low sun shines through the south facing windows, providing a wealth of heat. During the summer, the sun is high and does not shine directly on these windows. There are few windows to the east and west and almost none facing north. The absence of windows to the north reduces heat loss. 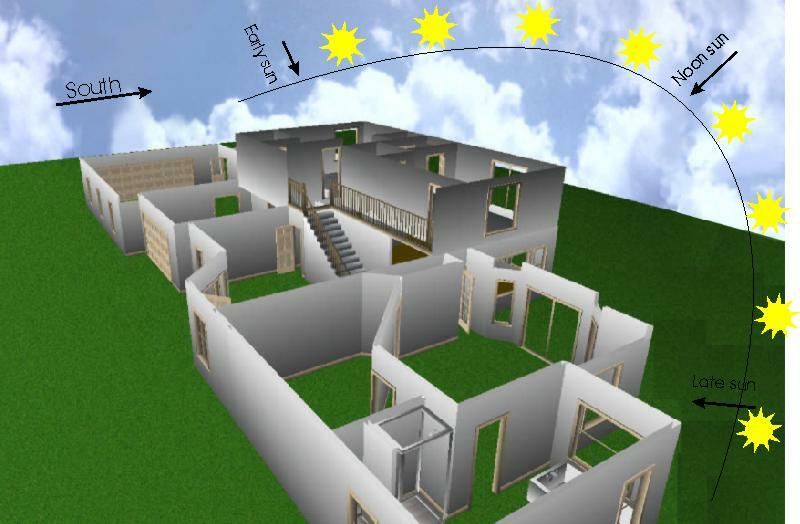 Below is a rough drawing of the home's exposure to the sun during the winter solstice. 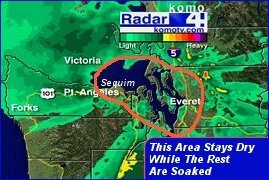 If you live in Sequim, Port Angeles, or anywhere in the Olympic Rain Shadow, you need to maximize your passive solar collection.